Accidents and illnesses occur around us all the time and preventable accidents kill nearly 100,000 individuals annually. Whether on the job, at home, or in the community, safety consciousness and programs help us all from becoming a statistic. Taking proactive measures to protect people from occupational health hazards is crucial to maintaining a company’s productivity, reducing company expenses, ensuring regulatory compliance, minimizing liability, and most importantly, saving lives. Occupational safety, in particular, is extremely necessary, as it allows workers to return home safely to their family, friends, and communities. Safe work environments allow workers to feel comfortable in their work environments, thus reducing absenteeism and increasing productivity. Occupational safety also makes good business sense, as it reduces downtime of workers, including costs associated with employee injuries and thus increasing business profits. It is incredibly important for businesses to understand the rules and regulations that surround the protection of their employees, and for employees to understand and comply with the rules and regulations. So, why does safety matter? It just makes sense to come home alive. Employers have the responsibility to maintain a safe and healthy environment. Proactive review and analyses of potential health or safety risks, along with implementation of safety programs, can mean the difference between life and death. Workplace injuries and illnesses create a burden for the worker, but it additionally creates problems for businesses. Productivity loss, workers compensation claims, and potential litigation may ensue, causing a financial loss to the company. 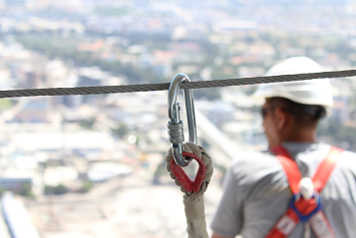 In a nutshell, health and safety regulations exist to ensure employees are protected from working in hazardous environments. Regulations and standards enforce rules for businesses and violations of these regulations can create an additional financial burden. Our consultants provide a thorough audit of your environment to ensure regulatory compliance is met and safety and health programs are enforced.